The colours in this glass are exceptional. The frame measures 18 1/2"h x34"w (47 x 87cm). 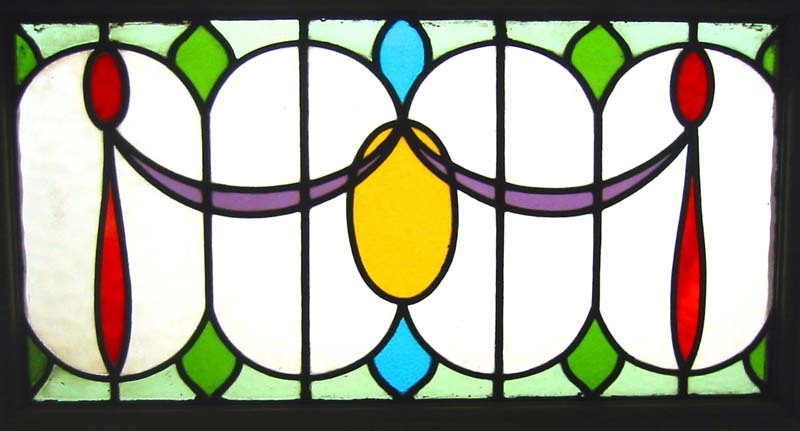 The glass measures 15 1/2" x 31" (40cm x 79cm). This Antique Window Shipped and packed to USA would be $159.